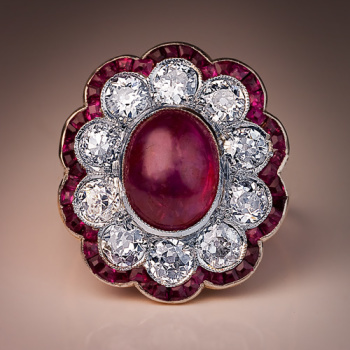 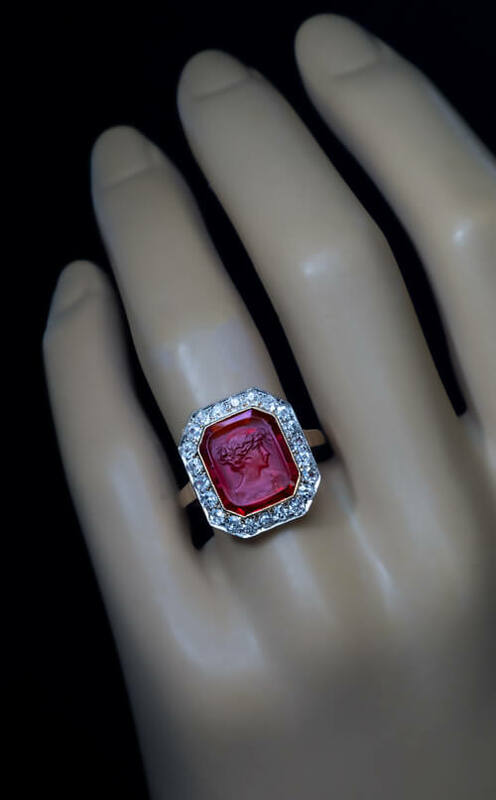 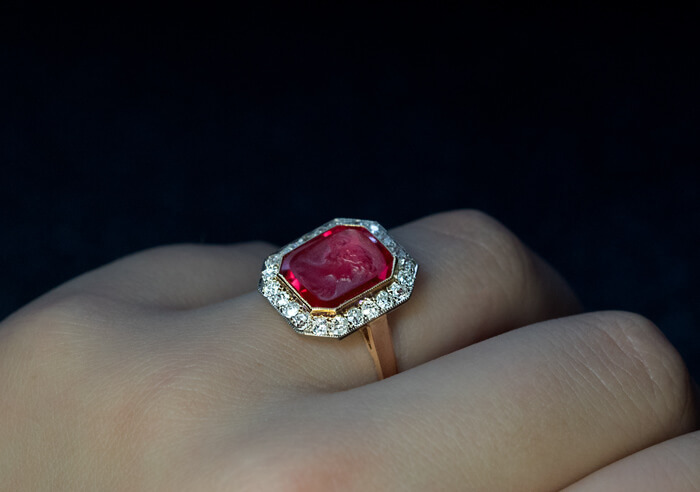 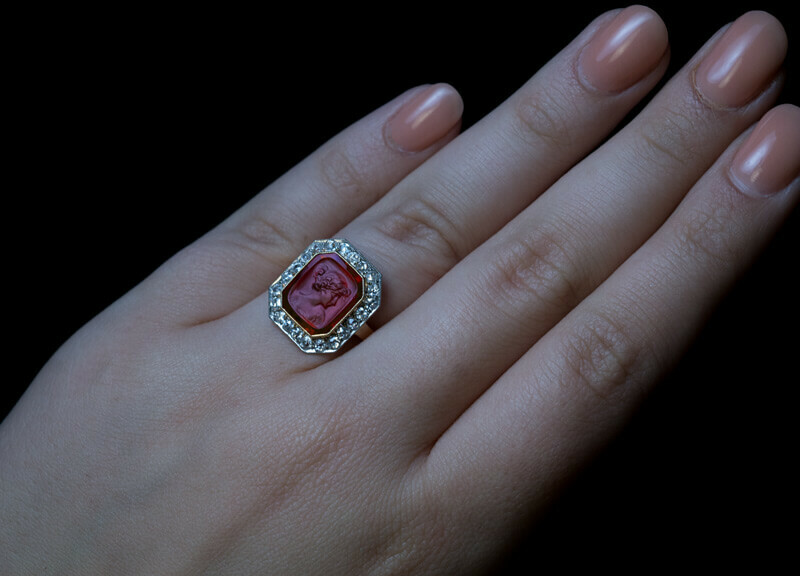 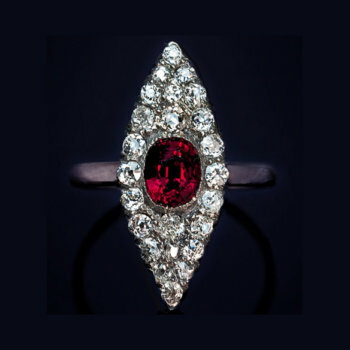 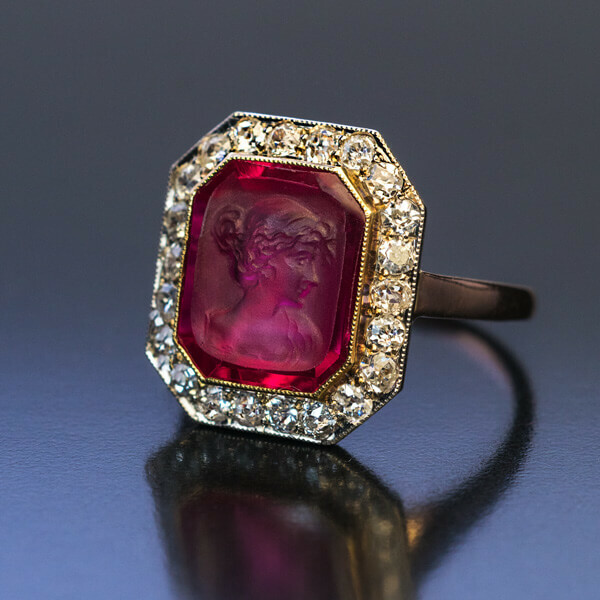 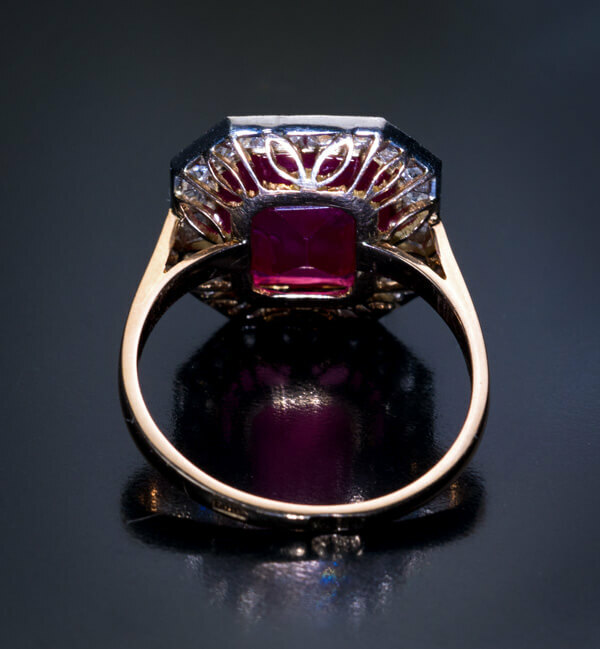 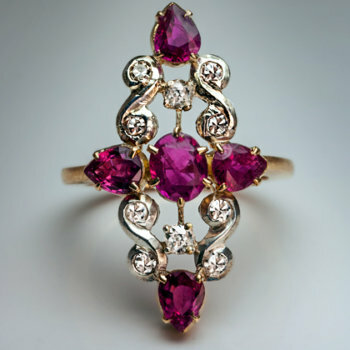 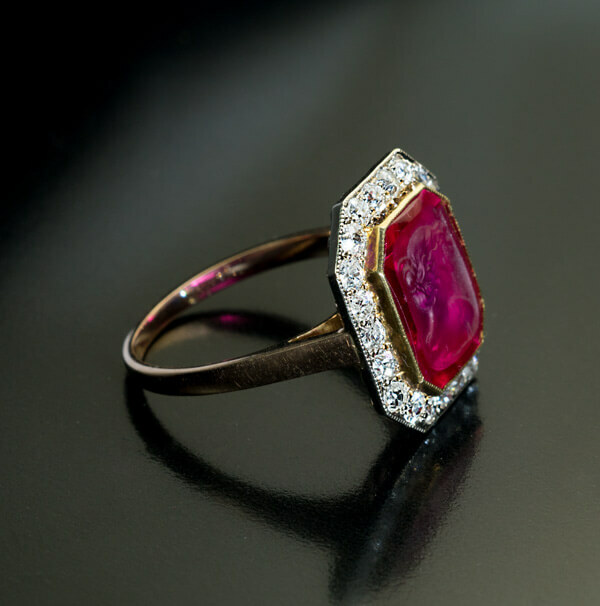 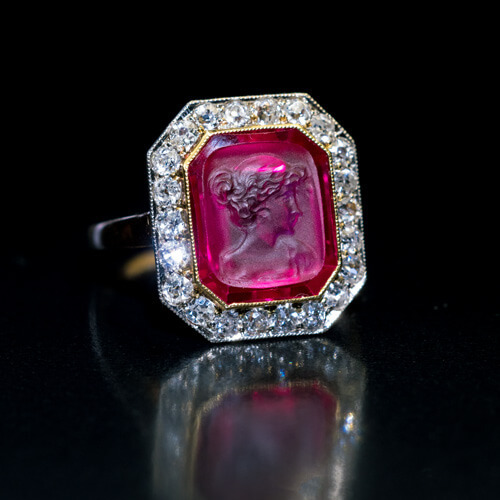 This rare original Art Deco cameo ring of a very fine quality features a purplish red synthetic ruby carved with a female profile. 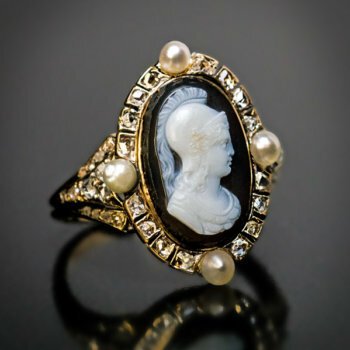 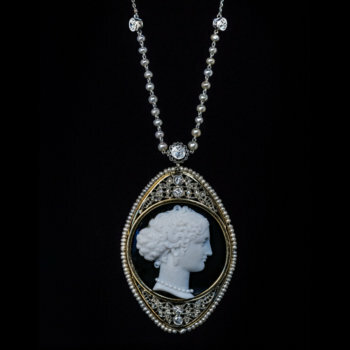 The cameo is set in a milgrain yellow 14K gold bezel framed by 22 sparkling old mine cut diamonds (H-I color, SI clarity). 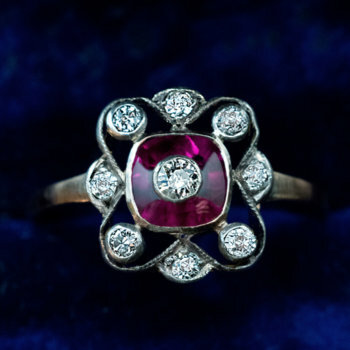 The diamonds are set in platinum over gold. 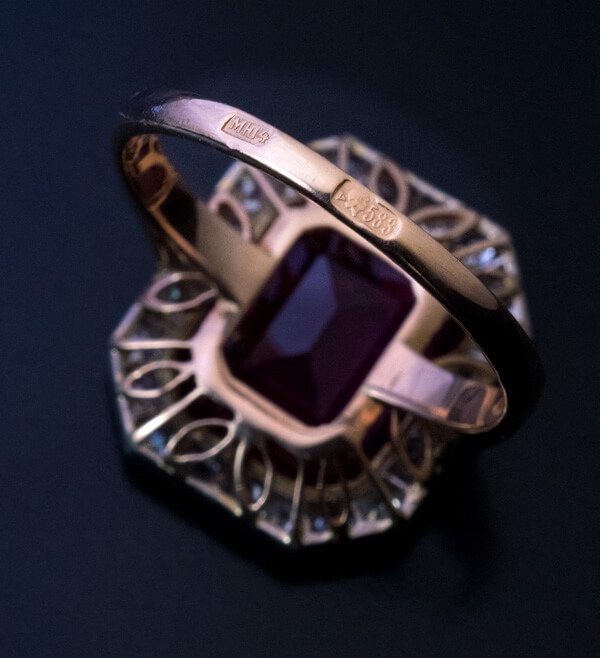 The ring is marked with 583 gold standard with Moscow assay symbol and maker’s mark.